South Africa: New Policy Commits South Africa's Scientists to Public Engagement. Are They Ready? 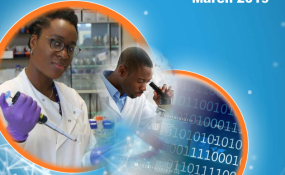 An image from the cover of the South African government's White Paper on Science, Technology and Innovation. Around the world, governments are trying to bridge the perceived gap between science - what is being studied and discovered in universities and research laboratories - and the public. They're doing this because they see great value in citizens that are scientifically literate and aware. Public support is vital to sustaining important investments in scientific research and innovation. People who are properly informed are also able to make decisions about scientific issues that affect their everyday lives. And, in our post-factual world, policymakers are keen to combat misinformation about science and limit public opposition to new technological advances. That is why, among other interventions, most modern governments have national strategies to promote the public communication of science. Some places, like India and China, have even introduced laws that deal with this issue. South Africa's government is the latest to introduce a new policy that confirms its commitment to public science engagement. The document also spells out how science engagement activities will be mandated in future. The new White Paper on Science, Technology and Innovation outlines what's expected of scientists and research organisations. These guidelines can't be applied overnight. They must be carefully studied and cautiously implemented. The aim should be to encourage and enable scientists to engage effectively and responsibly in meaningful dialogue with South African society, rather than to force their involvement. Care should also be taken to distinguish science communication for the public good from science communication aimed at institutional promotion. This White Paper can be an important motivator for scientists who don't feel equipped to communicate with ordinary audiences, or who worry they don't have the time to commit to public communication, to develop the necessary skills. It could also help them understand better why public engagement is crucial for good science and an informed, engaged society. natural scientists will earn so-called "continuing professional development" points from the South African Council for Natural Scientific Professions, the country's legislated regulatory body for natural science practitioners. However, these "points" are limited to natural scientists - a strange decision, since surely researchers in other fields should also receive incentives to engage. The White Paper also emphasises the need for specialised training to develop the engagement and communication skills of journalists, scientists, students, learners, educators and science interpreters. But are the country's scientists up to the task? Globally, we know very little about how scientists feel about governments' growing demands for increased public engagement. We do know that scientists' willingness to participate in science engagement depends on a multitude of factors. These include age, gender and their research field. My own research has found there are a number of country-specific factors that motivate South African researchers to engage with public audiences. South African scientists often feel morally obliged to reach out to communities to help create a more equitable society. Many are keen to show their fellow citizens that money spent on research is delivering good value for society. Black women scientists are particularly aware of the need to be visible in society as role models for future generations of scientists. Several factors must be taken into account if the White Paper's prescriptions about public engagement are to succeed. First, it's important to understand what deters scientists from public engagement. This includes concerns about time pressures, and uncertainty about how their peers will respond. Second, it's crucial to support and train scientists to communicate their work and findings. Some may be naturally gifted communicators, of course. But others will struggle, especially given that they're typically taught to write and speak in a formal, structured and technical fashion. This works when they communicate with their peers. But it's the exact opposite of what is required to engage with lay audiences. Instead of jargon and precision, effective public communication requires the ability to use simple language and make science relevant to everyday life. Possibly, scientists may need to, as scholars Ayelet Baram-Tsabari and Bruce Lewenstein put it, "unlearn the communication skills they have acquired as scientists" to become better at public communication. To communicate effectively, scientists also need to understand their audiences and the factors that influence their views of science. Based on their expertise, scientists may be tempted to tell people what to do - but building trust with the public demands listening to their concerns. Added to this, scientists need guidance on ethical and responsible science engagement. They must steer clear of science promotion that may be tainted by hype and exaggeration. The White Paper highlights science communication training as a priority. But the nature of this training needs to be clarified. At present, South Africa doesn't have the capacity and platforms to deliver this kind of training across the science system. South Africa's 2019 White Paper on Science, Technology and Innovation is a welcome step towards creating more connections and interactions between scientists and society. But if its requirements are imposed from on high, and scientists receive no proper support, public science engagement may become a mere tick-box exercise rather than encouraging meaningful and mutually beneficial interactions between science and society. With proper training, guidance, and public recognition and rewards for scientists who excel at public engagement, South Africa will take important steps towards becoming a country in which science is properly communicated, thoroughly understood and championed by its citizens.